So it's that time of year, 2014 is ending and we will all make up resolutions we struggle to keep up past January! 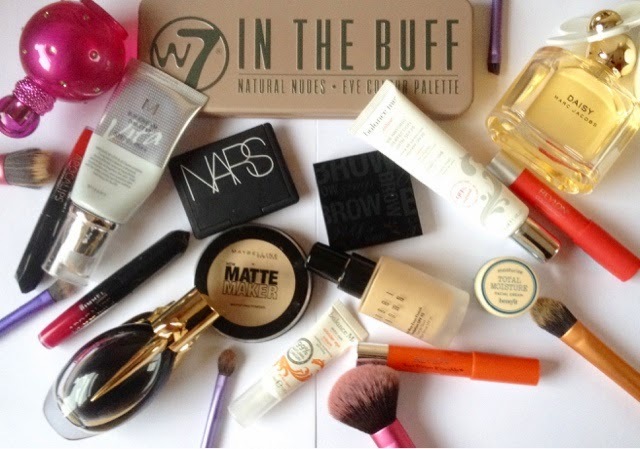 Every year us bloggers like to share with you our favourite products of the year, so here is my 2014 beauty favourites! I would be lost without my Real Technique brushes, for me they are great value for money and the range is fantastic, they are my favourite brush brand and will be in my 2015 favourites I am sure! 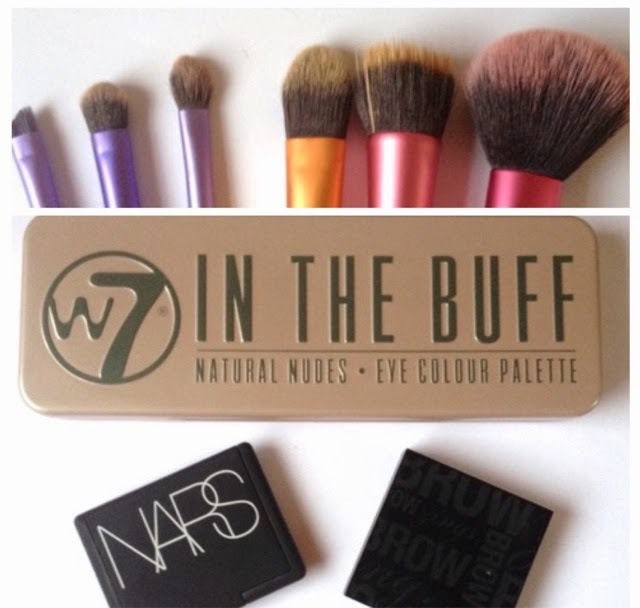 W7 In The Buff palette is a product I won over on Rachel's blog Beauty Queen UK (along with some of the RT brushes above) and I reviewed it HERE, great dupe of Urban Decay's Naked palette at a fraction of the cost, this is now my go-to palette! NARS blush in shade Dolce Vita review HERE, expensive.....yes, worth it..... hell yes! Benefit Brow Zings is always in my favourite posts (it was even in my 3013 favourites post which you can check out HERE), my brows would be wild without this little kit! The perfumes I have been loving this years are Marc Jacobs Daisy, Britney Spears Fantasy and Lady GaGa - don't judge a perfume by it's crazy creators, they smell amazing! Rimmel's Apocolips (review HERE) and Revlon's Just Bitten Kissable Balm Stains are my favourite lip products for bright, eye catching and long lasting lips! 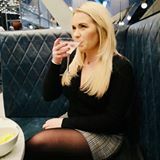 Again, Balance Me Wonder Eye Cream has been in many many many of my favourite posts, it does exactly what it says on the tin and you can see real results and the Balance Me team are just lovely which makes me love the brand even more. Benefit's Total Moisture is a product I am yet to review and have only been using it for a short while but I am hooked already. Fresh scent, thick but soaks in perfectly and makes my skin glow, what's not to love? BB creams: Balance Me BB Cream is amazing for a light summer BB cream (review HERE) but for winter where I want more of a full coverage I have been using Missha M Vita BB Cream which I am yet to review but I will do very soon, full coverage, good for oily skin and lasts all day. Bobbi Brown Long Wear Foundation, as my regular readers will know I used to rave about Estee Lauder Double Wear (which I do still love) but this foundation gives the same fab coverage but feels so much lighter on the skin. One product which isn't pictured as I have just ran out is Benefit's They're Real mascara, every one should own this mascara, it lengthens my lashes without clumping them, perfect. And that's it, the products I have been grabbing every day and I will repurchase every single one! 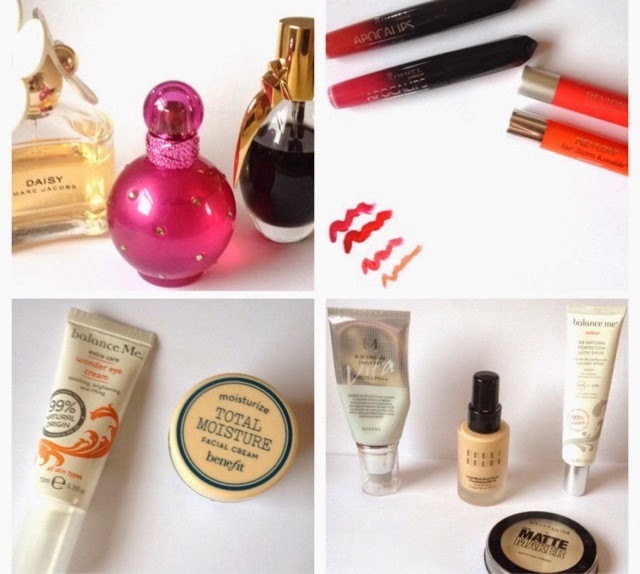 What have been your beauty favourites of 2014? Have you written a favourites post? Fabulous! There's loads of things I want to try out! I love Lady Gaga's fragrance, her second one is fabulous as well, I'm a very big fan of it! I had that Britney spears perfume and I absolutely loved it ! I adore the matte maker powder, it goes so well with my skin. You've picked some great products. I love your blog!